Hello, all. After writing twelve novels in the science fiction and paranormal genres, I am pleased to announce that my first fantasy novel, The Lion's Crown, is now available! I've wanted to write fantasy for a while now and have started and stopped a few projects. Those others aren't necessarily abandoned, this is just the first fantasy project to come to fruition. I haven't given up with science fiction either, for those of you who prefer that genre. I have a couple of ideas swimming around and may even be collaborating on a project with an author friend. Stay tuned for updates! 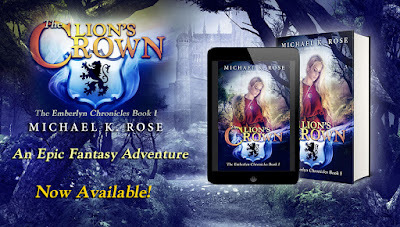 In the meantime, I hope you'll check out The Lion's Crown. It's the first book of a trilogy called The Emberlyn Chronicles, and I'm extremely pleased with how it turned out. Thanks to Alexia Purdy for the great cover! 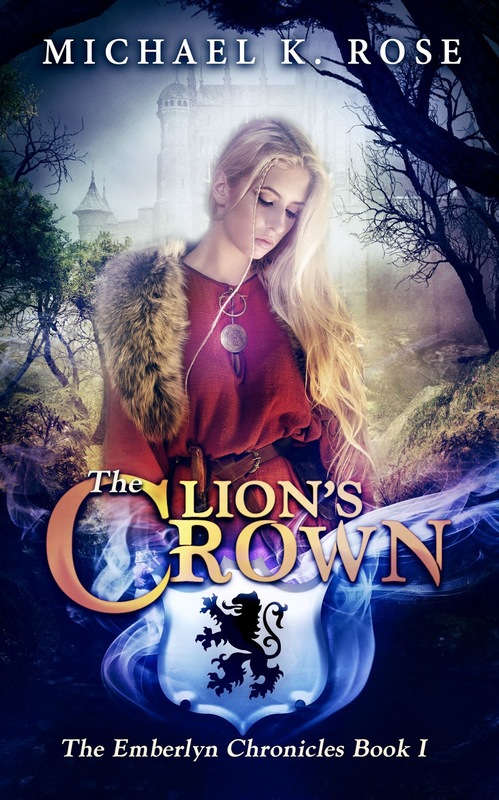 Click here to order The Lion's Crown from Amazon. It's just 99¢ through the end of the month! For thousands of years, the Hobswood Forest has repelled all attempts to uncover its secrets. Few have entered, and even fewer have returned. Now the king of Emberlyn has organized a new expedition into the wood, and as the explorers battle dark creatures and are drawn into a generations-long war, they will also encounter the most powerful entity to ever stalk the forest: the Ember Lion. The Lion’s Crown is the first book of The Emberlyn Chronicles, an epic tale of magic, war and love.